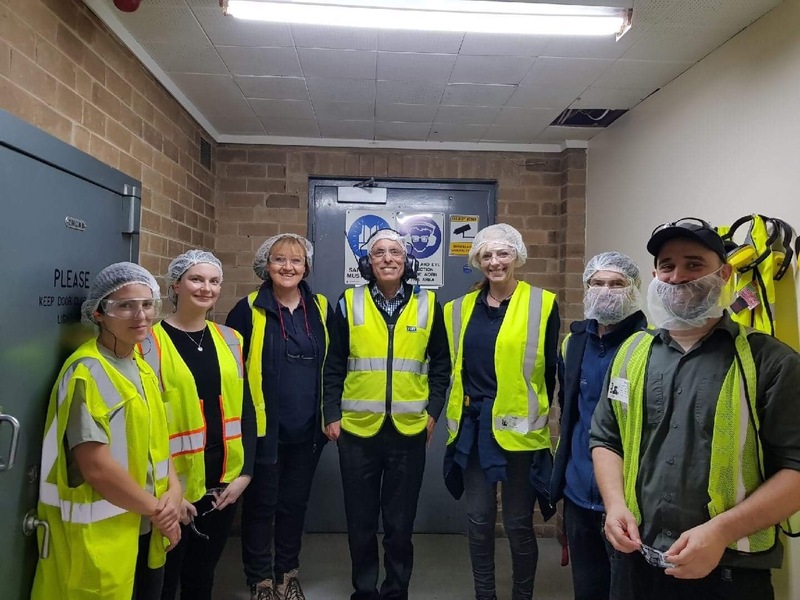 A group of us from Versatile Technology had a fantastic outing when we visited Visy’s Beverage Can Plant in Clayton, Australia in August this year. The goal of the visit was for the team who have never experienced a can plant, to get to know what goes on behind the scenes in the hub of the Canmaking Industry. I felt as though I was back in primary school on school excursion, with my ears and eyes open and note pad on hand, absorbing all this new valuable knowledge. Our host, Quality Manager Brij Kapoor, showed us around his sparkling plant explaining the process, all the way from the roll of coil to the finished can. As you do, before arriving, I had a picture in my head of what the plant was going to look like but little did I expect the speed and efficiency of the machinery, pushing out the 1000’s of cans per minute. All in all, it was great experience and we all thank Brij and the team at Visy Clayton for taking the time out of their busy day to show us around.